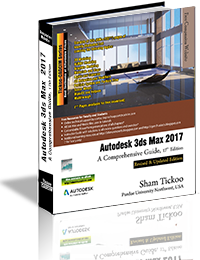 Welcome to the world of Autodesk 3ds Max, a 3D modeling, animation, and rendering software package developed by Autodesk Inc. It is widely used by architects, game developers, design visualization specialists, and visual effects artists. A wide range of modeling and texturing tools make it an ideal platform for 3D modelers and animators. 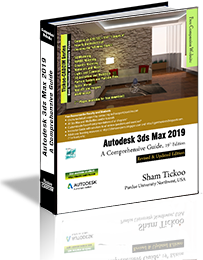 The intuitive user interface and workflow tools of Autodesk 3ds Max have made the job of design visualization specialists easier. 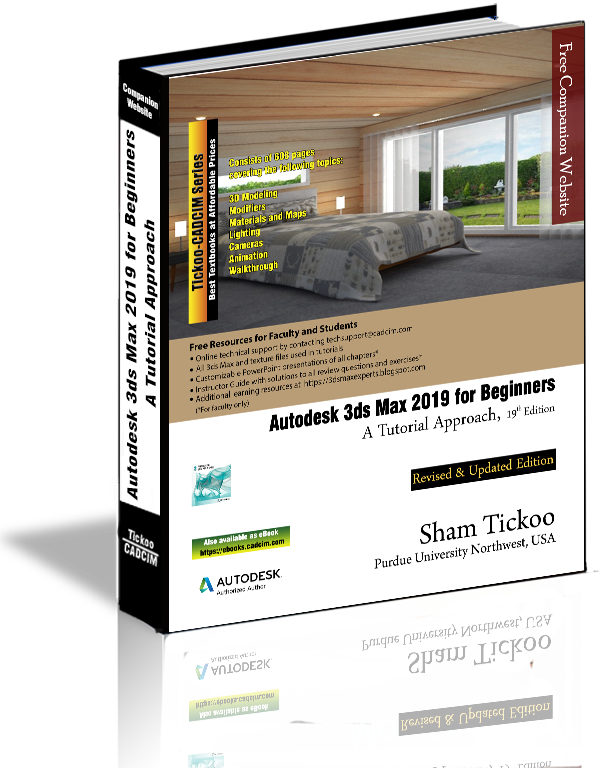 Autodesk 3ds Max 2019 for Beginners: A Tutorial Approach is a tutorial-based textbook that introduces the readers to the basic features of 3ds Max 2019 created on real world model through tutorials. The textbook caters to the needs of both the novice and the advanced users of the software. 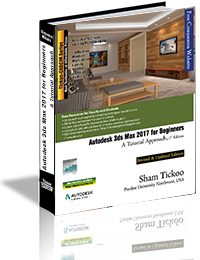 This textbook will help you unleash your creativity and help you create simple and complete 3D models and animations. The textbook will help the learners transform their imagination into reality with ease. Consists of 17 chapters and 5 real world based projects that are organized in a pedagogical sequence covering various aspects of modeling, texturing, lighting, rendering, and animation. The author has followed the tutorial approach to explain various concepts of modeling, texturing, lighting, rendering, and animation. The first page of every chapter summarizes the topics that are covered in it. Step-by-step instructions that guide the users through the learning process. Additional information is provided throughout the book in the form of notes and tips. Self-Evaluation test and Review Questions are given at the end of each chapter so that the users can assess their knowledge. Student project has been given at the end of this book to test and enhance the skills of students.